Watching a sunset and the stars from the summit of 13,796-foot Mauna Kea is truly a once in a lifetime experience. This is THE tour for coffee lovers – a 100% Kona coffee tasting on a coffee farm is included! Come aboard this 6 x 6 Pinzgauer for a fun tour of the Kona coffee belt. 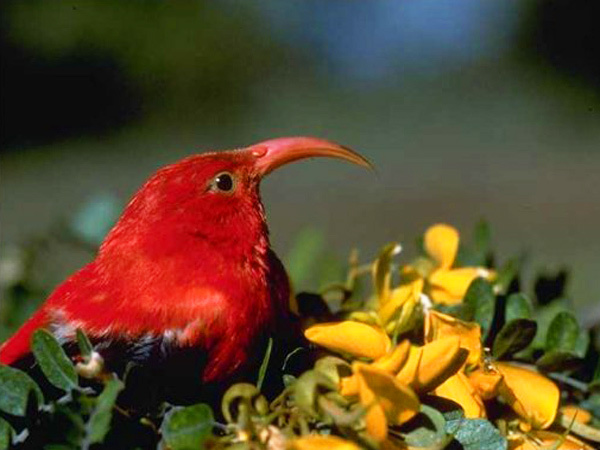 Enjoy a birdwatching tour in the Hakalau forest – a critical bird habitat that is home to some of the rarest plant and animal species in the world. Hawaii Forest and Trail Ecotours are fantastic ways to immerse yourself in the natural beauty that Hawaii has to offer. Mauna Kea Tours in Hilo offered through Hawaii Forest and Trail give you the opportunity to explore the world’s youngest and most active volcano! When you book Hawaii Activities such as these through Hawaii Activities Discount, you are able to save money and time! The Hawaiian Islands have so much to offer you and your traveling companions. By participating in a Hawaii Forest and Trail Ecotour, you are exposing yourself to the various climates and terrain of Hawaii’s Big Island. And what could be more exciting than discovering an active volcano during an extraordinary Mauna Kea Tour in Hilo? During Hawaii Forest and Trail’s Mauna Kea Tours in Hilo, you’ll have the chance to discover two different habitats: Mauna Kea’s sub-alpine dry forest of Puu Laau and the cloud mist kipuka rainforest of Mauna Loa! There is a well-known proverb in Hawaii that says “there is life in the rain.” With these Hawaii Activities, you’ll be able to appreciate this proverb as you see that rain provides the area with plentiful waterfalls and a stunning countryside. There is no other place in Hawaii that better proves the importance of water than the terrain of Kamehameha, which you will be able to observe during your Hawaii Forest and Trail Ecotours. Water continues to mold a dramatic landscape of streams, valleys and cliffs in its never-ending cycle. These same waters reveal to us the culture and history of Kohala. This Hawaii Forest and Trail tour starts with a fantastic drive full of change and contrast from the dryer resort area to the flourishing, green lands of Kohala. On the way, you’ll travel up Kona/Kohala’s coastline and over lava flows from Mauna Kea, Mauna Loa, and the Kohala Mountains. From the shoreline, you might even get to see spinner dolphins, and in the winter, you may be able to spot a humpback whale or two! These Hawaii Activities take you past the charming plantation town of Hawi as well as the site of the life-sized statue of King Kamahameha, Kapa’au. The Hawaii Forest and Trail Ecotour group will make a stop at the end of the road to visit the historic Kohala Mule Station, which presents visitors with one of the most beautiful shoreline views in all of Hawaii. Then the real fun of your Mauna Kea Tour in Hilo starts with a short, bumpy four-wheel drive journey over private ranchland. The offroad experience that Hawaii Activities Discount and Hawaii Forest and Trail offers is unforgettable! Discover the Pololu Valley with our rugged off-road Pinzgauer vehicles during these Hawaii Activities. See for yourself the land-sculpting and life-giving power of water as you journey through an altering landscape of towering ocean cliffs, rushing streams, and cascading waterfalls. This Hawaii Forest and Trail Ecotour will even give you the chance to kick your shoes off and enjoy a refreshing dip in a mountain pool! These Hawaii Activities are available in both the morning and afternoon for those six years old and up. When you’re booking your Hawaii Activities through Hawaii Activities Discount, be sure to aska bout Hawaii Forest and Trail Ecotours such as Mauna Kea Tours in Hilo.